'Export Contact for WhatsApp' is an Android Application that helps a user to export the list of contacts which are using WhatsApp from the bulk of contacts (Up to lacs)! Export all the Contacts who are using WhatsApp from any number of Bulk Contacts list (1lac, 2lac, etc..) with Export Contacts for WhatsApp application. This ultimate tool is developed to help businesses with Bulk SMS Advertising and promotion on WhatsApp. The Application works on Mobiles as well as Windows Desktop (PC’s). You can easily SAVE a whopping 50% on your overall Marketing Cost for your business or increase your ROI by 50% using Export Contacts for WhatsApp application. HOW? We are living in an era of Smartphone’s where Bulk SMS in the form of Text Messaging is delivered in lakhs and crores for Advertisement and we are habituated to simply IGNORE that SMS. But, do we ignore a WhatsApp Message? Obviously NOT! We will definitely check it once and then decide the next course of action. This is where this app (Export WhatsApp Contacts app) will give your efforts much better Returns on Investment (ROI) in business when you export WhatsApp contacts. Why Choose Us? "#1 Rated, Downloaded and Used" WhatsApp contacts backup app. Fast Filtration of Contacts who are using WhatsApp from any huge Database. (1lac, 2lac, etc..) Software Support for Android Mobile and Windows Desktop. Marketing via WhatsApp is among the trendiest concepts in the field of Mass SMS or Online SMS Marketing because of the vast usage of WhatsApp which is around 1 Billion active users every day. And, having a handy list of WhatsApp Contacts is beneficial for people who wish to promote their Business, Products or Services on WhatsApp. This app instantly filters your contacts list and separates all the Active WhatsApp using contacts in a single file. You can directly reach to people who are using WhatsApp easily and quickly without investing a penny because this application is totally free. (Check out application’s Key features) Quick and Easy Process or Exportation. Unlimited WhatsApp Contacts can be Exported at a time. Exporting contacts in Window Desktop is accessible as well Direct option to view exported files from the application How does it work? (Android - Step by Step Guide) Launch the Application Click on Export Contacts A Pop-up Window will generate asking you to Enter the file name Enter the file name as per your requirement and Click Export Successful Message and Location of Exported File Will be displayed (Exported file is directly stored in the Mobile for usage) WhatsApp is also used in PC’s nowadays and so is this application. Simply follow the instructions below to see how it works on your Windows Desktop! How does it work? (Windows - Step by Step Guide) Open Application Click on web option in header Copy the generated URL and open in your desktop web browser Click start to export WhatsApp contacts Finally, you can export and import your contacts from your desktop Click stop if you wish to stop exporting contacts At many places, WhatsApp contact lists plays a vital role in Bulk Message Marketing and for the same, Export contacts for WhatsApp application has been designed to help marketers easily do the promotions via Short Message Service. The app has a nice graphical user interface so that anyone can understand how to operate it. We're always happy to hear from you! If you have any Questions or Feedback, feel free to contact us through email. Note: This is not an Official App or any Product of WhatsApp. 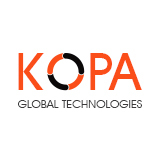 Kopa Global Technologies – Leading Mobile App Development Company in India and United States – Coimbatore, India. 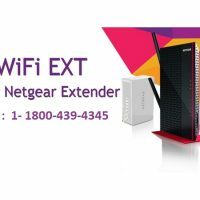 Netgear Extender Setup Support – Beavercreek, OH, US. Computer Repair Hobart – Laptop and computer repair services – Howrah, TAS, Australia.